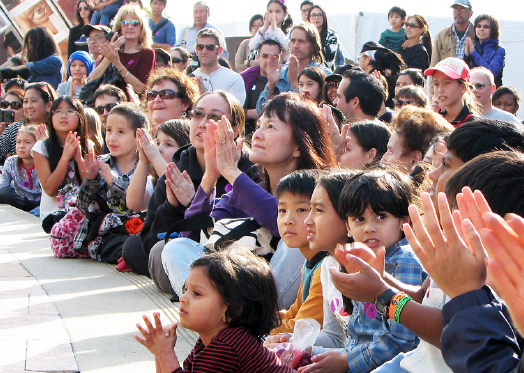 Scenes from the Japanese American National Museum’s annual Oshogatsu Family Festival, held Jan. 4 in Little Tokyo. 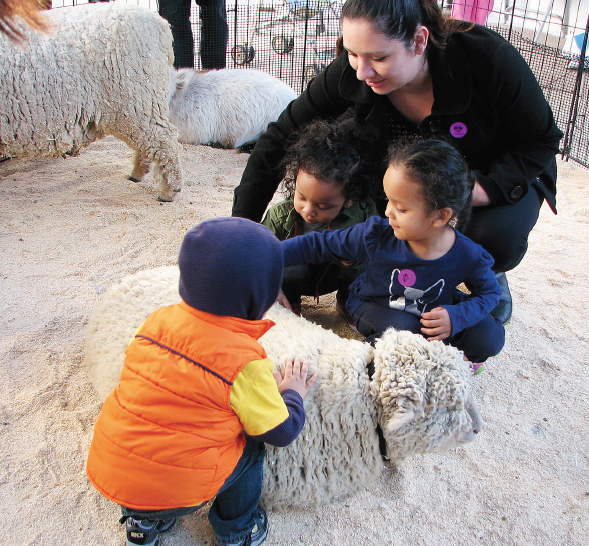 Above: A petting zoo provided by Jessie’s Party Animals allowed kids to meet this year’s animals, sheep and goats. 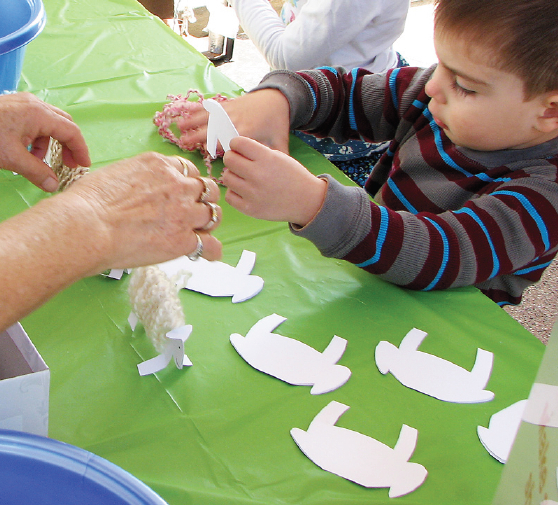 Crafts for kids had a Year of the Sheep theme. Kids were also treated to balloons in the shape of sheep by Balloon Monsoon and a reading of “How the Years Were Named,” a story about the animals of the Asian zodiac. 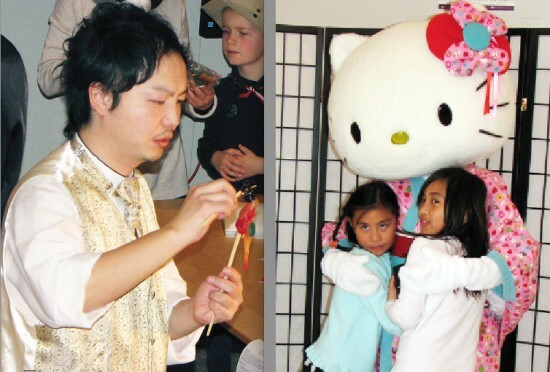 Left: Takafumi Ichiyanagi (pictured) and his uncle Shan demonstrated their skill at amezaiku or candy sculpting. Right: Hello Kitty, who has an exhibition at the museum, posed for photos with kids well as adults. 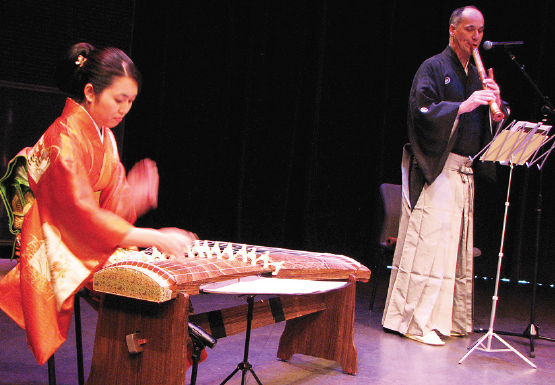 Yuki Yasuda and Marco Lienhard of Taikoza played contemporary music on traditional Japanese instruments, the koto and shakuhachi. 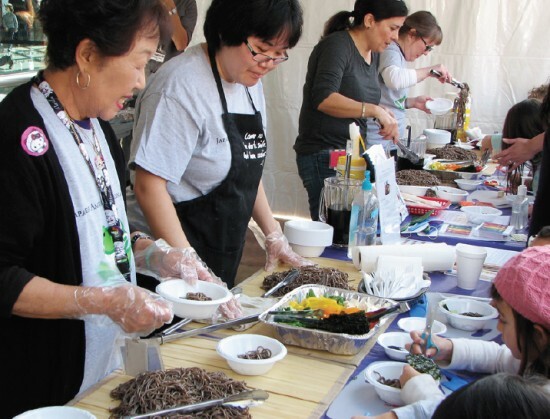 Kidding Around the Kitchen gave out samples of zaru soba, with attendees choosing their own ingredients. Osechi ryori (traditional New Year’s dishes) was also served to museum members. 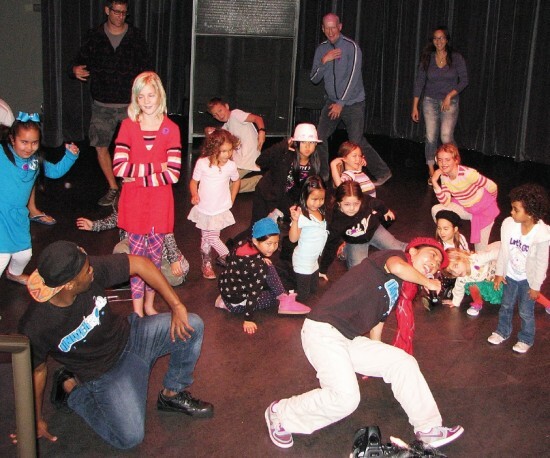 UniverSoul Hip Hop, a community-based group dedicated to educating and enriching youth by bringing hip-hop dance and culture to K-12 classrooms, performed and invited kids to show their moves. Mochi was pounded to the rhythm of drumming by Kodama taiko. 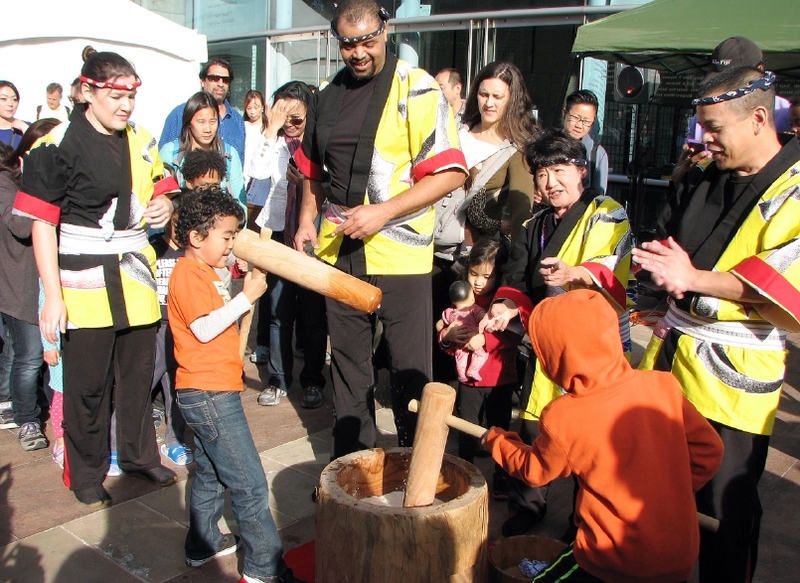 After the professionals gave a demonstration, kids were given a chance to pound the mochi. The audience joined in tejime (rhythmic, ceremonial clapping) to conclude the event.